Life on Earth is adapted to the rotation of our planet. For many years we have known that living organisms, including humans, have an internal, biological clock that helps them anticipate and adapt to the regular rhythm of the day. But how does this clock actually work? Jeffrey C. Hall, Michael Rosbash and Michael W. Young were able to peek inside our biological clock and elucidate its inner workings. Their discoveries explain how plants, animals and humans adapt their biological rhythm so that it is synchronized with the Earth’s revolutions. Most living organisms anticipate and adapt to daily changes in the environment. During the 18th century, the astronomer Jean Jacques d’Ortous de Mairan studied mimosa plants, and found that the leaves opened towards the sun during daytime and closed at dusk. He wondered what would happen if the plant was placed in constant darkness. He found that independent of daily sunlight the leaves continued to follow their normal daily oscillation (Figure 1). Plants seemed to have their own biological clock. Other researchers found that not only plants, but also animals and humans, have a biological clock that helps to prepare our physiology for the fluctuations of the day. This regular adaptation is referred to as the circadianrhythm, originating from the Latin words circa meaning “around” and diesmeaning “day”. But just how our internal circadian biological clock worked remained a mystery. Figure 1. An internal biological clock. The leaves of the mimosa plant open towards the sun during day but close at dusk (upper part). 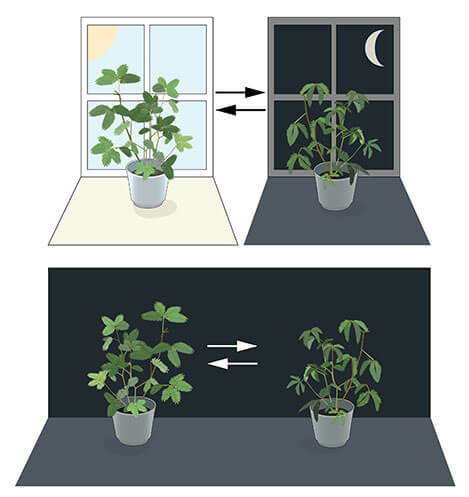 Jean Jacques d’Ortous de Mairan placed the plant in constant darkness (lower part) and found that the leaves continue to follow their normal daily rhythm, even without any fluctuations in daily light. During the 1970’s, Seymour Benzer and his student Ronald Konopka asked whether it would be possible to identify genes that control the circadian rhythm in fruit flies. They demonstrated that mutations in an unknown gene disrupted the circadian clock of flies. They named this gene period. But how could this gene influence the circadian rhythm? This year’s Nobel Laureates, who were also studying fruit flies, aimed to discover how the clock actually works. In 1984, Jeffrey Hall and Michael Rosbash, working in close collaboration at Brandeis University in Boston, and Michael Young at the Rockefeller University in New York, succeeded in isolating the period gene. Jeffrey Hall and Michael Rosbash then went on to discover that PER, the protein encoded by period, accumulated during the night and was degraded during the day. Thus, PER protein levels oscillate over a 24-hour cycle, in synchrony with the circadian rhythm. The next key goal was to understand how such circadian oscillations could be generated and sustained. Jeffrey Hall and Michael Rosbash hypothesized that the PER protein blocked the activity of the period gene. They reasoned that by an inhibitory feedback loop, PER protein could prevent its own synthesis and thereby regulate its own level in a continuous, cyclic rhythm (Figure 2A). Figure 2A. A simplified illustration of the feedback regulation of the period gene. The figure shows the sequence of events during a 24h oscillation. 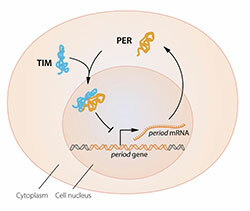 When the period gene is active, period mRNA is made. The mRNA is transported to the cell’s cytoplasm and serves as template for the production of PER protein. The PER protein accumulates in the cell’s nucleus, where the period gene activity is blocked. This gives rise to the inhibitory feedback mechanism that underlies a circadian rhythm. The model was tantalizing, but a few pieces of the puzzle were missing. To block the activity of the period gene, PER protein, which is produced in the cytoplasm, would have to reach the cell nucleus, where the genetic material is located. Jeffrey Hall and Michael Rosbash had shown that PER protein builds up in the nucleus during night, but how did it get there? 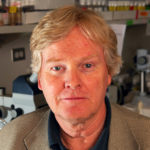 In 1994 Michael Young discovered a second clock gene, timeless, encoding the TIM protein that was required for a normal circadian rhythm. In elegant work, he showed that when TIM bound to PER, the two proteins were able to enter the cell nucleus where they blocked period gene activity to close the inhibitory feedback loop (Figure 2B). Figure 2B. A simplified illustration of the molecular components of the circadian clock. The paradigm-shifting discoveries by the laureates established key mechanistic principles for the biological clock. During the following years other molecular components of the clockwork mechanism were elucidated, explaining its stability and function. 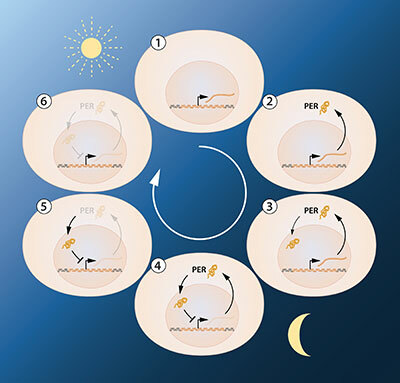 For example, this year’s laureates identified additional proteins required for the activation of the period gene, as well as for the mechanism by which light can synchronize the clock. The biological clock is involved in many aspects of our complex physiology. We now know that all multicellular organisms, including humans, utilize a similar mechanism to control circadian rhythms. 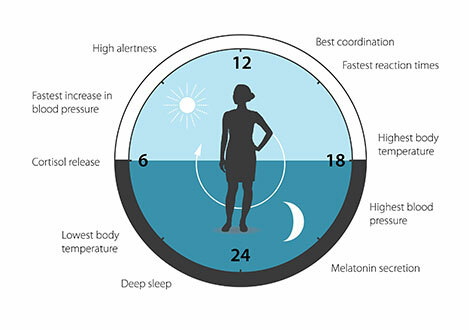 A large proportion of our genes are regulated by the biological clock and, consequently, a carefully calibrated circadian rhythm adapts our physiology to the different phases of the day (Figure 3). Since the seminal discoveries by the three laureates, circadian biology has developed into a vast and highly dynamic research field, with implications for our health and wellbeing. Figure 3. The circadian clock anticipates and adapts our physiology to the different phases of the day. Our biological clock helps to regulate sleep patterns, feeding behavior, hormone release, blood pressure, and body temperature. 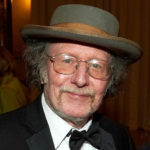 Jeffrey C. Hall was born 1945 in New York, USA. He received his doctoral degree in 1971 at the University of Washington in Seattle and was a postdoctoral fellow at the California Institute of Technology in Pasadena from 1971 to 1973. 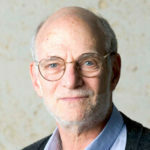 He joined the faculty at Brandeis University in Waltham in 1974. In 2002, he became associated with University of Maine. Michael Rosbash was born in 1944 in Kansas City, USA. He received his doctoral degree in 1970 at the Massachusetts Institute of Technology in Cambridge. During the following three years, he was a postdoctoral fellow at the University of Edinburgh in Scotland. Since 1974, he has been on faculty at Brandeis University in Waltham, USA. Michael W. Young was born in 1949 in Miami, USA. 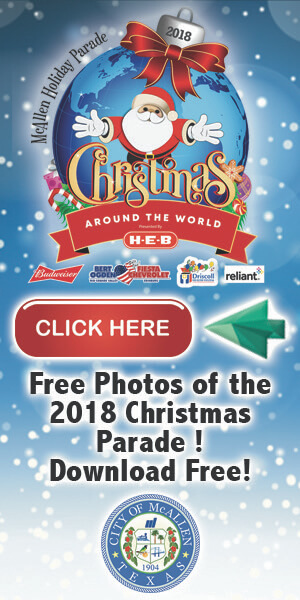 He received his doctoral degree at the University of Texas in Austin in 1975. Between 1975 and 1977, he was a postdoctoral fellow at Stanford University in Palo Alto. From 1978, he has been on faculty at the Rockefeller University in New York. The Nobel Assembly, consisting of 50 professors at Karolinska Institutet, awards the Nobel Prize in Physiology or Medicine. Its Nobel Committee evaluates the nominations. Since 1901 the Nobel Prize has been awarded to scientists who have made the most important discoveries for the benefit of mankind. Nobel Prize® is the registered trademark of the Nobel Foundation. 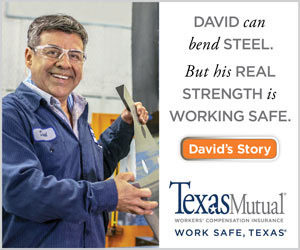 We feature articles about leading professionals in the medical and healthcare industry in the South Texas area.